Cirrus Dental is a Crown & Bridge Lab located in Lake Geneva, Wisconsin. From our Aesthetics to our Personalized Customer Service, we always make the quality shine. We are all in when it comes to quality and giving our customers what they need In every aspect of our business. We have developed excellent relationships with our doctors and their staff. We take the time to get acquainted with each of our doctors preferences so that our crown and bridge work meets the preferences of each doctor and on every occasion. In summation, we practice personalized service – with a smile. 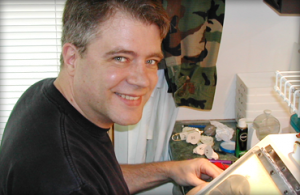 The owner, Craig Johnson left a production lab in 2003 to pursue higher quality restorations and created Cirrus Dental, which is based in Southeastern Wisconsin, and services there and McHenry County, Illinois, he’s been in business for 13 years now and employs three technicians. Aesthetics and Service are the twin goals we set with every case. We stress Complete Customer Service both before and after you receive your case. 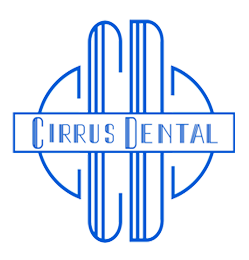 We want you to have a convenient and fulfilling experience with Cirrus Dental. It's more than just providing on time deliveries and correctly prepared cases; it's an important part of the promise Cirrus Dental makes to our doctors and their patients. Cirrus Dental utilizes Dental Wings Scan & Design Systems and can accept digital impressions as long as they are sent in an open .stl file. Our systems accurately digitize impressions and/or positive models. 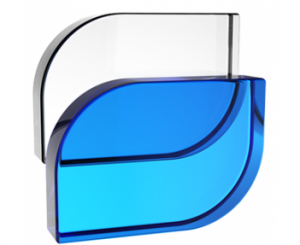 Fully integrated with our DWOS software, they enable us to design a wide range of dental indications. Dental Wings is a leading provider of digitaldentistry technologies. Solutions cover dental scanning, implant planning, prosthesis design, manufacturing and communication among dental professionals. We can and do send digitally rendered images of problem preparations, margins, tight spots and paths of insertion to dentists when needed.